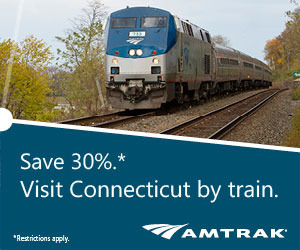 Great Things to Do in Mystic Eastern CT.
My mother once got off the Amtrak just to mail a letter that would have the postmark “Mystic.” The town and its surrounding region live up to its intriguing name in many ways, not necessarily in the eerie or spooky way the name implies. 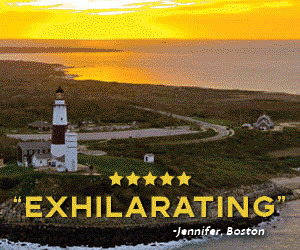 One Long Island Sound, the town of Mystic is historically a ship-building community, resting cheek-to-cheek with the lovely town of Stonington, once a major fishing town, which still has a reduced but active fishing fleet. Not far inland are the two gigantic Native-owned casinos that draw visitors from far and wide: Foxwoods Resort and Casino in Mashantucket and the Mohegan Sun in Uncasville. In addition to their attractions as places for slot machines, video poker and a huge range of table games, the casinos also offer fine and diverse dining as well as musical and stage shows by international headliners. Find some casino-area lodgings. 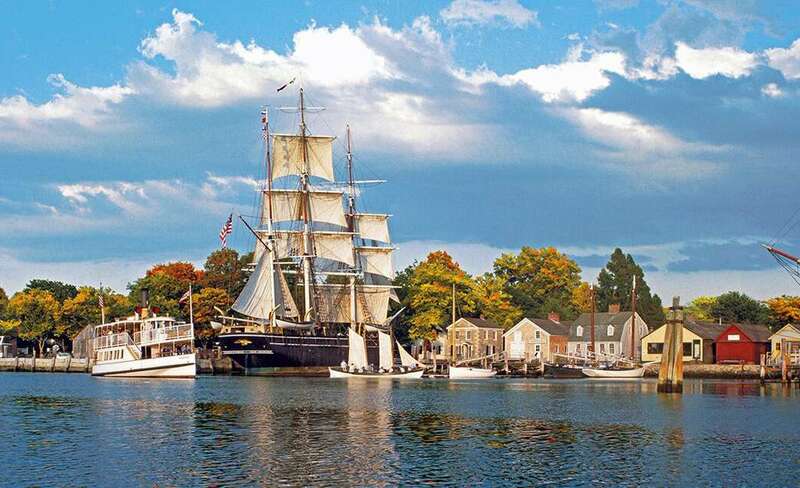 Back in the town of Mystic, be sure to visit Mystic Seaport, a living history village consisting of a village, historic ships, and exhibits depicting coastal life in New England in the 19th century. The property also is home to the only existing wooden whale ship, the Charles W. Morgan. 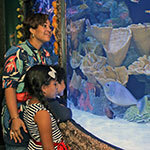 Experience hundreds of underwater worlds at Mystic Aquarium where you come face-to-face with beautiful marine animals including New England’s only Beluga whales. Next to Mystic Aquarium is Olde Mistick Village, a town-like collection of small, unique shops. There’s even a replica of a New England-style church, where lots of public entertainments are held. Mystic also offers some excellent dining, (visit Mystic Pizza, the inspiration for the movie of the same title). Moving westward along the shore, you find the town of Groton and the USS Nautilus & Submarine Force Museum. The city of New London, also west of Mystic, at the mouth of the Thames River, also offers many places of historic interest as well as a lively downtown and a refurbished waterfront, home to the U.S. Coast Guard’s training barque Eagle and well as many sea-themed festivals. History (Colonial) and art (19th century) are alive at Nathan Hale Homestead in Coventry and at the Florence Griswold Museum in Old Lyme, which features beautiful paintings of the American Impressionist movement. 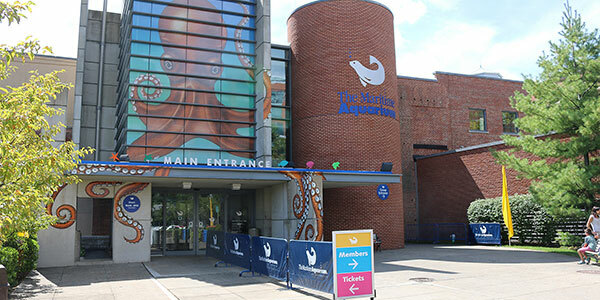 The Connecticut River Museum in Essex, on the very banks of the river, is a fascinating natural and human history of this waterway that runs through all of New England (see the very first submarine, used during the Revolutionary War). Essex Steam Train & Riverboat, based in Essex, takes you for a ride along the river on an authentic steam train, followed by a ride on a paddlewheel riverboat. Don’t miss it! Finally, visitors who are in a less-is-more mood can enjoy a leisurely drive along Route 169, designated as a National Scenic Byway.